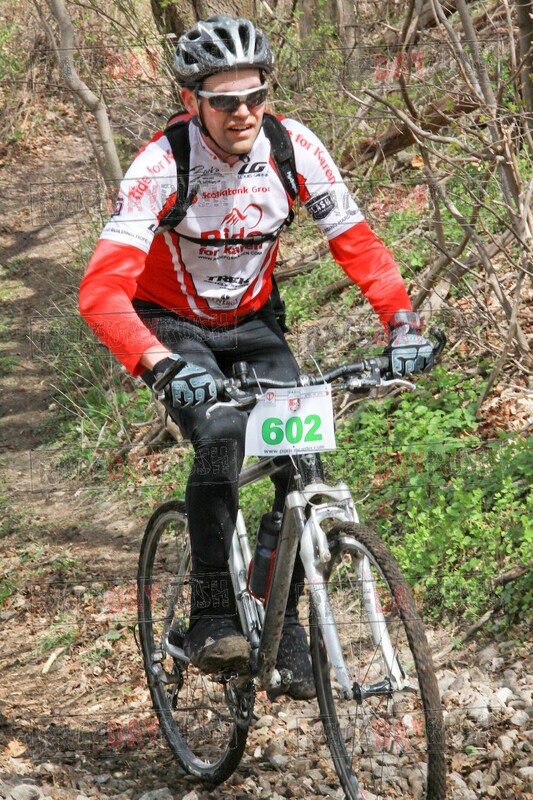 Paris to Ancaster is a classic 60km mountain bike/road/cyclocross race from Paris to Ancaster, Ontario. I yacked about it in this post from 2008, if you want all the details. This was my fifth attempt at this beast of a race, and despite a few glitches, the most successful! Overcast, windy and cold (6 or 7 degrees). Did a quick warm-up, then got in line (and cooled down, sigh!). I was excited to do this race, but more nervous than usual... just not feeling it. The race starts with a small hill on paved road, then immediately fires onto a downhill gravel section. It's pretty key to get the first bit right, as it determines the crowd you'll be around on the rail trail. I felt strong and managed to move up from my starting position pretty quickly. Maybe too quickly, by the time we hit the rail trail I was drafting with a pretty fast group, and my heart rate was through the roof trying to hang on! Every year I tell myself not to go out to hard an every year I get caught up in the excitement and go out to hard. Ah well. By the time I hit the first off-road sections, I was feeling the need to dial it back a bit. Cruised through, caught my breath, and nursed the heart rate back down. Most of the first half was pretty uneventful. The farms we go through were unusually wet and squishy, my tires sunk in pretty badly, but everyone was struggling. At one point it felt like I was biking on a mattress! At the halfway point I had one of those race moments that make you smile. Some kids had put out a jump in the road, you didn't have to hit it, and most were avoiding it... but the guy next to me nailed it, I looked over and saw him in mid-flight, it looked amazing! The kids hollered "YEEAAAAAHHHH!!! ", I started laughing out loud... awesome! It was shortly after this that I felt some cramping. I have been plagued with cramps at this race, almost every year. I try something every year to fix it, and it never works... this year I focused more of my training on high intensity bursts with recoveries, and for the race I added two Nuun electrolyte tablets to my Gatorade, but still, there they were! My new theory is that it's related to balancing, I seem to be balancing my bike with my legs and sometimes I do a panice/seize-up type thing, that seems to be when the cramps start. I backed off a bit and tried to keep my cadence high, trying to nurse my muscles back to performing properly. At this point my buddy caught up to me, so I used his draft for a few kilometers, that helped. After this I found "a wheel". Not just a wheel, but the greatest wheel ever... this guy was a little bit faster than me, steady, and didn't hammer it out of corners. And he didn't seem to mind me drafting off of him for kilometer after kilometers. Thank you, yellow jacket wheel man! I stayed absolutely glued to him, refusing to let anyone grab on. I must have been back there for almost half an hour, through fields, rail trail, road, it was a huge help to my race. The infamous "mud chutes". Two steep downhill sections with at least 6" deep mud. I don't know what happened this year, but the first mud chute was almost completely dry, top to bottom. I rode the entire thing for the first time in 5 years of doing this race... as did almost everyone around me. The second mud chute was the normal mess, though. I popped the bike up on my shoulder and slopped through the mud to the bottom. The last series of hills at the end of this race are a beast. Your legs are fried and it's granny gear steep, not to mention rutted and not passable in anything less than a Hummer! My cramps caught up with me pretty soon after I started up, at the same point where my race fell apart last year. But this year, I managed to get going again within a minute, and with low-gear spinning brought it back. I kept it in low gear and span, span, span... until the very top when it's so steep, then I mashed, mashed, mashed. The cramps didn't come back, and for the first time ever I didn't walk the last hill! I charged across the finish. Whew! 5 in the books. Final time was around 2h36. If you'll indulge me for a moment (isn't that what blogs are for? ), I just want to bask in how far I've come. The first year I did it I had a fleece top, track pants, and finished in the bottom 10% at almost 4 hours... I was clueless on nutrition, not in anywhere near the right shape for this race, and totally shocked by the course. 6 in a row in 2011? We'll see! Part of this race's appeal was discovering it, and now that I can remember it in my sleep it's not quite as exciting. I'd like to try something different, like attacking it with a cyclocross bike or something. We shall see! So I guess the next order of business is a cyclecross bike? Maybe someday... :) I'll keep an eye open for a decent used one, go from there. Did the 60 k for the first time this year and had a blast. I wish there was a fall version. Good to hear you enjoyed it! Looking forward to your race report. Thanks for your blog! I have started on the road to Ironman. I only just decided that that's my eventual goal. At 200lbs and 33 years old I decided I need to shape up. A buddy at work suggested we start training for a triathlon. You're kidding right? Well we commited to swimming 4-5 days a week and running and biking when we could. Since February we have run 3 5ks together. I competed in 1 sprint tri and a century ride. While buddy did 2 tris. You've inspired me. I'm gonna do it. Not sure when but hopefully before my 40th. Between my couple of falls and a walk up the last hill muttering things that would make a sailor blush I had a pretty awesome time and am considering trying it again next year. I think we're all made of some alloy that is part marshmallow and part iron. Love the concept, keep up the good work. Thanks all! :) Appreciate the feedback. If you did the 2:36 on an MTB, you owe it to yourself to try the cyclocross. I bet you could knock another 10-15 mins off. I tried this race for the first time this year on a cyclocross and it was truly awesome. You might give up a little dampening for sure, but the worst sections had to be walked by everybody and you are in a much more aero and efficient position for the hard pack sections. I was shocked at what the bike could go up with its little knobbies on, but when it came time for the pavement or the dirt roads, the tires have pretty low rolling resistance to take on all but the strongest riders (and of course you dont catch those guys anyway). Good luck next year. Road Bike + Gravel Road = Weeeee!! !